Очень грамотная и честная команда. Покупал недвижимость в Албании, студию через интернет . Прислали все фото, ответили по скайпу на все вопросы .Выслал бронирование через банк. Через недели две поехал оформлять куплю -продажу полностью. Всё оказалось ,как на фото и в описаниях. В квартире долго никто не был и при осмотре оказалась плесень в шкафах от залива с верхнего этажа. Увидев это менеджеры Albania Property Group извинились и сразу предложили сделать ремонт повреждённых поверхностей за свой счёт. Оформив куплю -продажу Albania Property Group взяла на себя государственную регистрацию с обязательством выслать сертификат собственности мне через DHL. Надо сказать ,что весь процесс осмотра студии и купли- продажи прошёл за три дня. Очень хорошо работает и вызывает доверие команда этого агентство. Особенная благодарность менеджеру Алкету, Эно и руководителю Илиру. It was very important to us to find a reliable, fair team, who are aware of the local rules and the foreigner needs indeed. Today we are cheerful for choosing Albania Property Group, because from the first email exchange through the property tour until contracting and the procedures beyond, we found helpful, friendly attitude from the employees of the company. Special thanks to Ilir Konomi and Dori Sotiri for their professional suggestions and sympathetic human attitude, we proudly call them our friends now. Also after the purchase of the apartment, you can freely ask them for further help, they help you in every way. It is good to feel, that you have local people to trust there. We gladly propose the company with warm heart to visitors and the ones who would like to purchase, we are absolutely sure that they will not be disappointed. I was in Albania in 2011 for the first time and have visited the important places from Tirana to Saranda. This summer I returned and toured from Durres to Saranda to find the right Albania real estate. With the help of good luck and Albania Property Group the best apartment (that I finally bought) was in Saranda: just on the beach, with 180 degrees unobstructed sea view and of super quality. Thanks to the staff of Albania Property Group for the assistance and the nice company in the visited cities. Special thanks to Ilir for organizing and managing everything perfectly. Last but not least, I am grateful to Dori for his devotion and help with furbishing my flat and make it ready for joyful times. We want to thank you Ilir, Eno and Ila for helping us to get out of the mess we where before we met you. Albania Property Group team is best you can get if you want to buy property in Albania. They will handle all the things you need and much more. We have a lovely place in Vlora and we love it. Nature, food and the people are just great in Albania. We are so grateful to all of you in Albania Property Group. Although I didn't buy anything in Albania at this time, due to personal/family considerations, I want to say that my dealings with Ilir Konomi since 2009 have been nothing but positive. He has been exceedingly helpful, patient and understanding through out this period and I consider him a friend at this point. If, in the future, I do decide to buy a property Ilir and Albania Property is who I would go to. I have been to Albania four times and can't recommend both the country and Albania Property Group enough. Thank you Albania Property Group. We had a very nice trip and I would like to say the holiday apartment in Saranda was perfect to me and my family. Your help was really useful to find the good one for us. Everything was clean end the apartment had all the things necessary for living comfortably. We had a great time in the vacation rental, the beach was beautiful and had a nice bar with good music all day. We had also everything we needed next to home restaurants, grocery and others shops. Thank you for your help and if we come back in Albania we will contact you. Our experience about cooperating with Albania Property Group and buying property from Albania is very good. Albania Property Group's " full service" from seeking a suitable apartment, legal service and help with furnishing is excellent for people who live outside Albania. 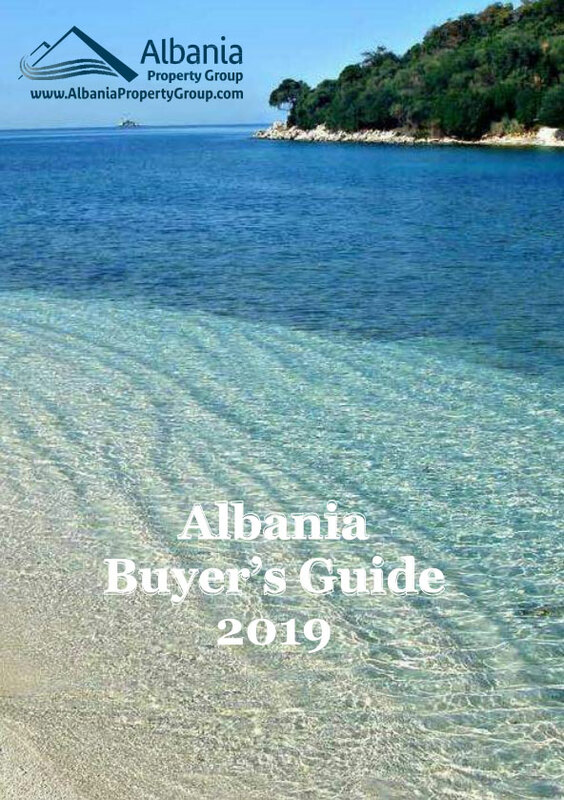 Our recommendation is to use Albania Property Group if you are planning to invest in Albania real estate. Ostimme heinäkussa 2012 huoneiston Azzurra nimisestä talosta Sarandan rannalta. Dori Sotiri Albanian Property Groupilta oli meille suuri apu. Hän opasti meitä asunnun ostossa huomioiden tarpeemme ja oli rehellinen kertoessaan riskeistä, jotka johinkin myynnissä oleviin kohteisiin mahdollisesti liittyivät. Löysimme siis mieluisan asunnon ja nyt jälkeenpäin olemme hyvin tyytyväisiä valintaamme. Dori on auliisti opastamut meitä erilaisissa hankinnoissa ja ollut muutenkin aina käytettävissä kun olemme apua tarvinneet. En osaa kuvitella kuinka olisimme kaikesta selvinneet ilman Dorin apua. Kiitokset Dori!